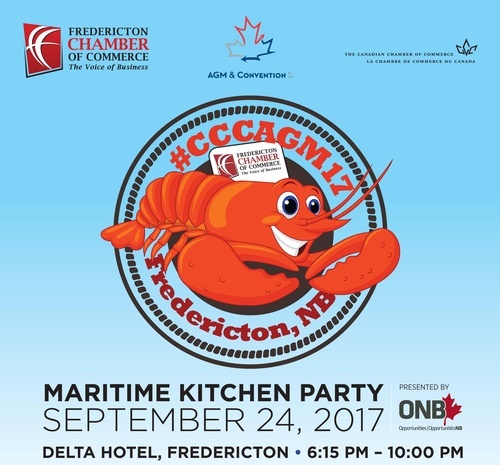 The Fredericton Chamber of Commerce is pleased to be the host of the 2017 Canadian Chamber of Commerce AGM/Conference and as part of this confrence we are hosting a Maritime Kitchen Party for the participants of the conference and we'd like to invite our members to join us as well. Meet potential business partners and welcome our new friends to brag about our beautiful part of the country. Registration is limited, book your tickets now.